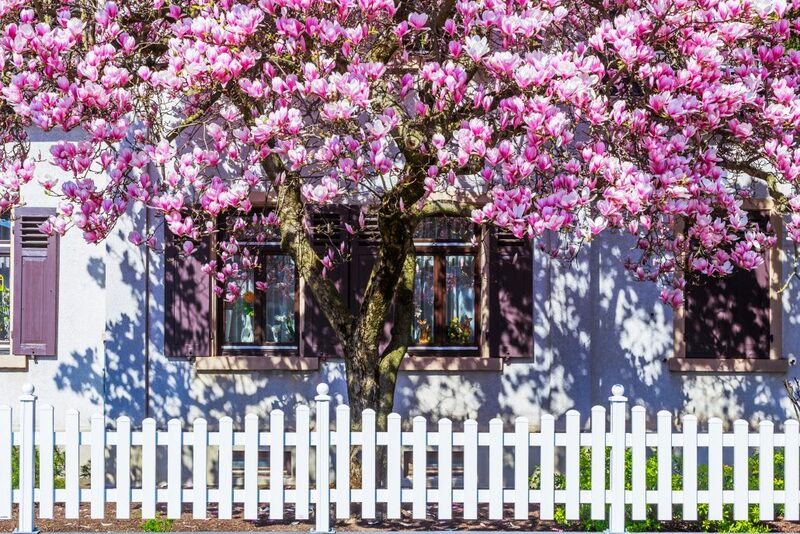 Living in a leafy neighbourhood adds value to your property as trees improve living conditions by shading out the heat of summer, store carbon and recycle oxygen. Many are also beautiful and change with the seasons. While trees do lots of good, they can be a maintenance nightmare if poorly selected, planted too close to a building or if they block access or a view. 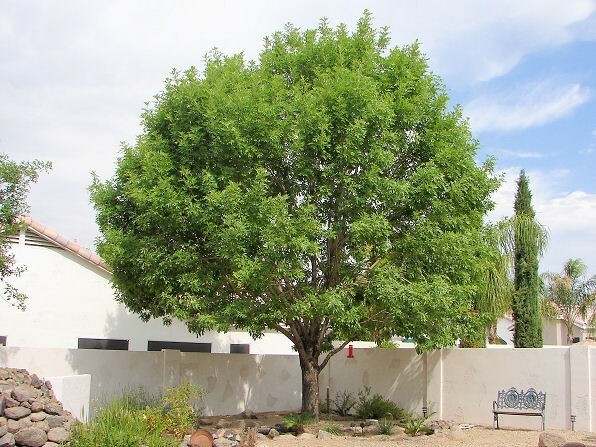 Choose named varieties that grow to a known height and width to match a tree to the available space. 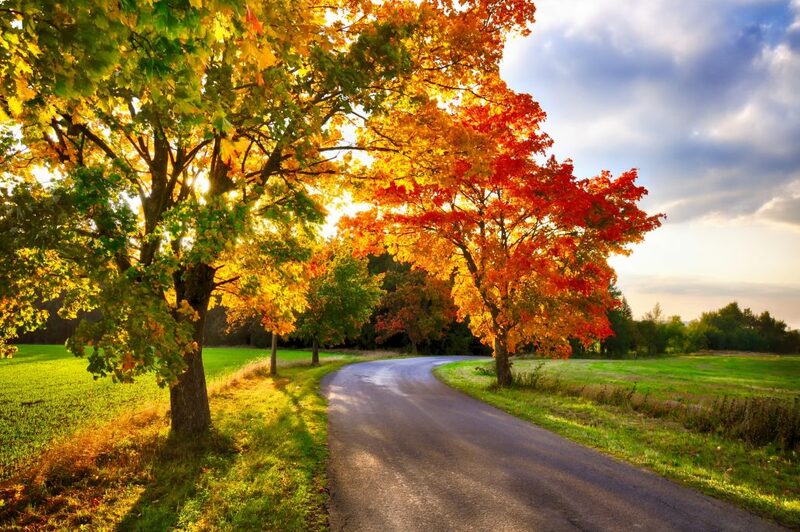 Deciduous trees – those that lose their leaves in autumn and winter – allow sunlight to filter into gardens during winter so are good choices for suburban gardens. Many also help protect homes from fire. 1. 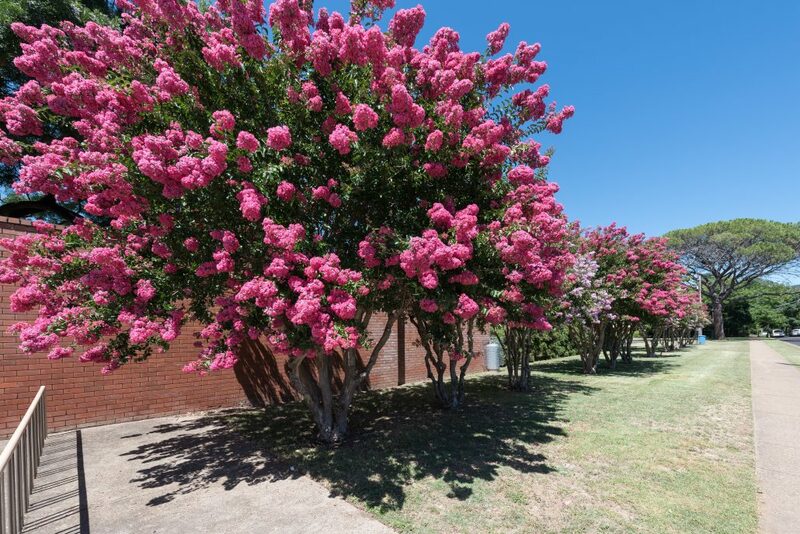 Crepe myrtle (Lagerstroemia indica). Deciduous in winter with long-lasting colourful flowers from late spring to late summer. 5-7m. 2.Maples especially Japanese maples such as Acer palmatum and the larger japonica. These compact deciduous trees have vibrant autumn leaves but are best in cool to temperate gardens. 2-5m. 3.Frangipani (Plumeria rubra). Frangipanis are small succulent deciduous trees with fragrant white, pink or apricot flowers in summer and autumn. Best in temperate to tropical climates. 3-5m. 4.Evergreen ash (Fraxinus griffithii). This compact evergreen has light ferny leaves and tassles of flowers. 3-5m. 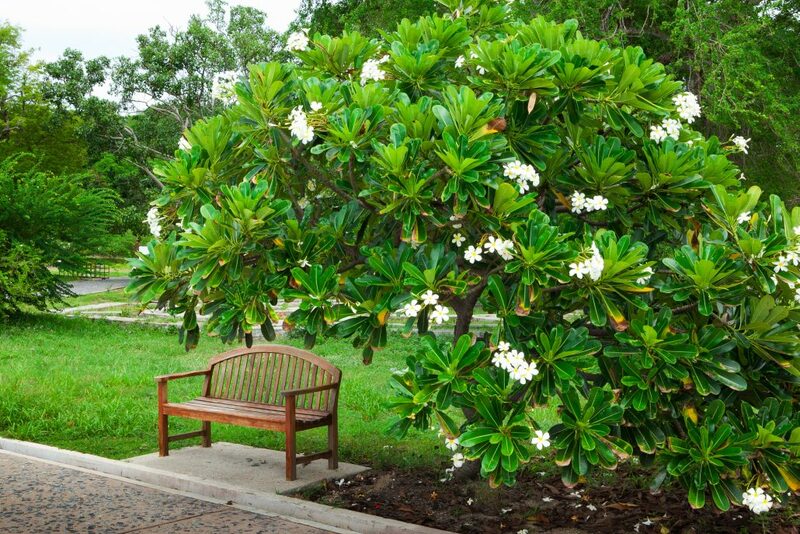 5.Named varieties of evergreen or deciduous magnolias are elegant trees. Evergreen magnolias (Magnolia grandiflora) flower throughout the year and grow in most areas; deciduous magnolias (such as M. x soulangiana) flower in late winter and are best in cool to temperate zones. Size varies with cultivar. 6.There are many ornamental cherry, peach and plum trees (Prunus spp.) 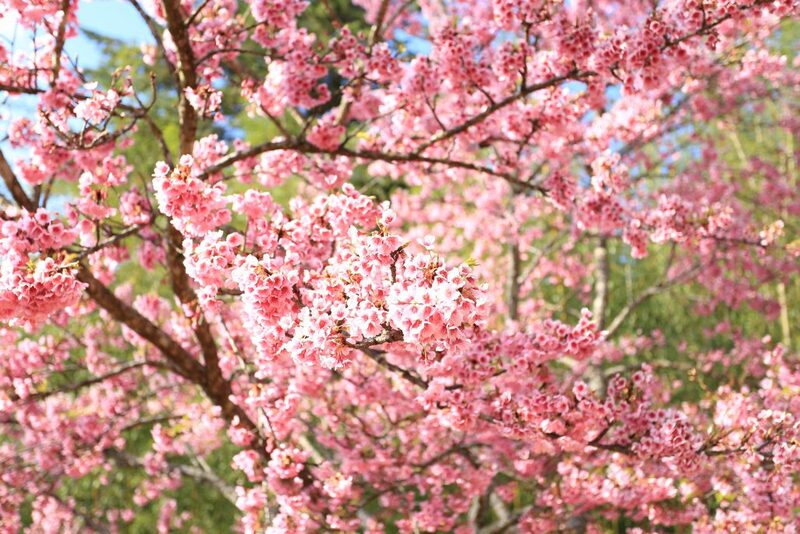 to bring that breathtaking cloud of pink or white spring blossom. 3-5m. In warmer zones substitute bauhinia or tabebuia. 3-5m. 7.Citrus (lemon, lime, orange or mandarin). 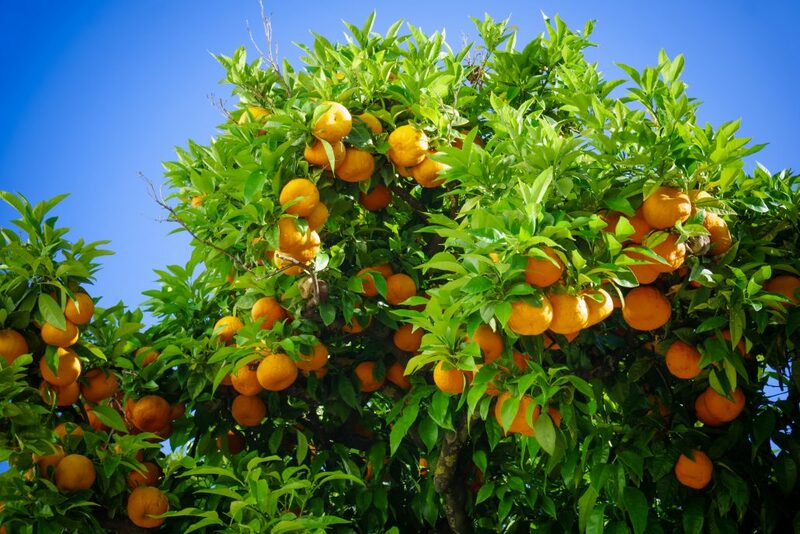 Everyone likes a productive tree and while there are many that do well in gardens (apples, pears and even nut trees such as macadamias) citrus are universally appreciated. Evergreen. 2-5m. Not all trees add value. Evergreen conifers, especially the tall and fast growing Leylandii cypress, gums of all kinds especially growing close to homes in fire-prone locations, and trees that just get too large such as liquidambars don’t add value as they are viewed as costly either in terms of removal or on-going maintenance.